A new legal right is to be introduced to enable workers to request a more stable and predicable contract. This change will primarily benefit those who work on a zero-hours basis or similar. The idea is that, after 26 weeks of service, the individual can ask their employer for a contract confirming the days/hours that they work so, for example, they can have greater certainty around the number of hours they will be given or fix the days on which they can be asked to work. Currently, a 1 week gap between employments for the same employer can break continuity of service. There are plans to extend this to 4 weeks. Continuity of employment is important for a number of reasons, such as whether an employee qualifies for family pay (like statutory maternity pay) or a redundancy payment and it impacts on their employment protections (including the right to claim unfair dismissal). This change is likely to benefit casual and seasonal workers. There are to be a few important changes in this area. Firstly, currently only employees are entitled to receive this written statement of employment particulars (which sets out their basic terms like pay, holiday entitlement, notice period and hours of work). This legal right will be extended to workers too. Secondly, the statement currently only needs to be provided within the first 2 months of the person's employment starting. This is to be changed so it becomes a day one right, meaning that the basic terms will need to be clear from the outset of the work relationship. Finally, the information that must be included in the statement is to be expanded. Additional information will include details about any probationary period that applies and whether there are rights to paid leave such as maternity/paternity leave. Continuing the sentiment for greater provision of information, a new right will be introduced to ensure that agency workers are each provided with a Key Facts Page setting out basic information concerning their engagement, such as their level of pay. Legislation to ensure that tips are passed on to the worker (rather than taken by the employer) will be put in place. This has been talked about for some time. The days of asking an employee for their original passport or other right to work documents have gone. A free online checking system has been introduced by the Home Office as an alternative to the paper record-keeping. Some readers will be aware that Tribunal fees were introduced in 2013 and then abolished (and refunded) in 2017, following a successful legal challenge that the fees prevented access to justice. However, it seems that the idea is not dead and there are rumblings about how fees can be lawfully introduced. No 2019 list of developments would be complete without a mention of Brexit. As March draws closer, we wait to see what (if any) impact this has on employment law. New Year, new plan. Each year, different HR trends will come onto the scenes and practitioners will implement new strategies to help them achieve an enriched company culture, content employees and a sparkling employer brand. 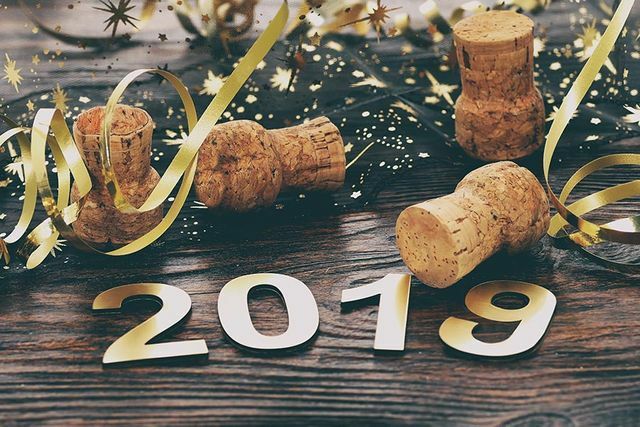 With that in mind, HR Grapevine caught up with numerous HR practitioners ahead of the New Year to see where you should be focussing your attention.